What is a 9 cable SCR system? Consequently this SCR system is used, to distribute satellite signal to multiple points. Most commonly SCR system (unicable) is used by Multi Unit Dwellings (MUD). 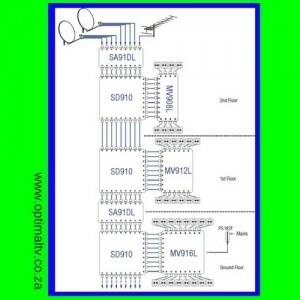 9 Cable distribution systems therefore use, a 9 cable SCR multiswitch (unicable multiswitch) reticulation system. a 9 Cable SCR multiswitch acts as a remote tuner. Therefore each receiver is assigned a dedicated frequency. This frequency carries a transponder, supplied by the 9 cable SCR multiswitch. This signal feed the decoders, in addition with a single unicable. In addition the 9 Cable SCR System is also able to provide for additional satellite service providers. What is a SCR multiswitch? a 9 Cable SCR Multiswitch is used to connect decoders, to the SCR 9 cable system. Therefore enabling the decoders to switch between available user bands. Decoders will only be able to switch between user bands, supported by the system. First of all a 9 cable SCR distribution system, makes use of 9 cables between multiswitches. Therefore this system is referred to as a 9 cable reticulation systems. In addition a 9 cable SCR multiswitch (also called a unicable multiswitch) enables decoders to switch between eight user bands. The SCR function allows for the decoder to access all 8 user bands through a single unicable. Furthermore this kind of multiswitch also allow for the reticulation of terrestrial antenna signal. What is 9 cable SCR distribution? 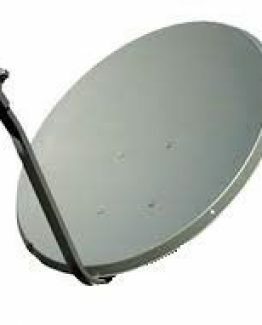 Since in most applications, many users require a satellite signal from one or two dishes. Therefore to make this possible, a satellite distribution system is required. Rather than installing many separate dishes. One or two dishes feeds to all the users. We therefore use nine cables in a, 9 cable SCR distribution system. These nine cables supplies 9 different signals. an Amplifier, amplifies antenna signal, as well as eight user bands from a satellite dish. Nine outputs supply signal from the amplifier. Furthermore these nine cables, gets reticulated to a series of 9 Cable SCR multiswitches. Consequently the 5 cable SCR multiswitch or Unicable multiswitch in turn, supply signal to outlets in each unit. Finally the outlet separates the signal into, antenna and a single satellite signal. 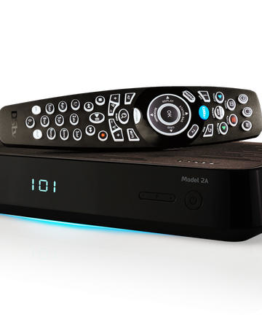 Explora decoders and Xtra View installations use more than one tuner. By using a 9 cable SCR system one unicable will support a Explora or Xtra View installation. Due to the extra user bands supplied by the 9 cable SCR system. 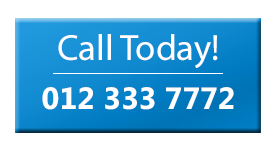 Additional services are provided for. 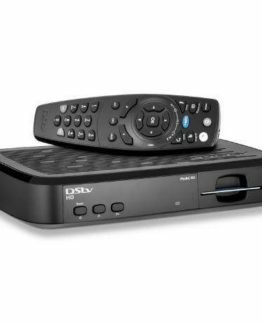 Multichoice recommend a distribution system that allows for four user band. 9 cable SCR distribution is high band complaint. 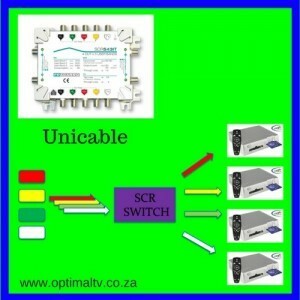 Therefore a 9 cable SCR systems is ready for DStv’s service expansion. In addition a 9 cable SCR System allows for additional services like StarSat.